Hi guys, I know this post is extremely late but I enjoy writing these posts so much that I'd rather post it late than not at all, and this month there was so many good products to choose from. The Good Housekeeping magazine is such a terrific magazine, like I mentioned every month so far, this magazine really has got a bit of everything a woman needs to survive. Anything from beauty tips, to some budgeting tips, all the way to recipes and decor. I highly recommend it for women of any age. Let me talk you through all the products I picked up from their Under R250 page. I have been wanting to try this range for ages! As I am typing this I am wanting to get more from the range and maybe do a full review of the range. The smell is amazing. When I smell this hand cream I am taken aback to a fancy spa. I have found that the hand soap at our office really dries out my hands, but keeping this hand cream on my desk really helps to relieve that dryness and add some hydration. 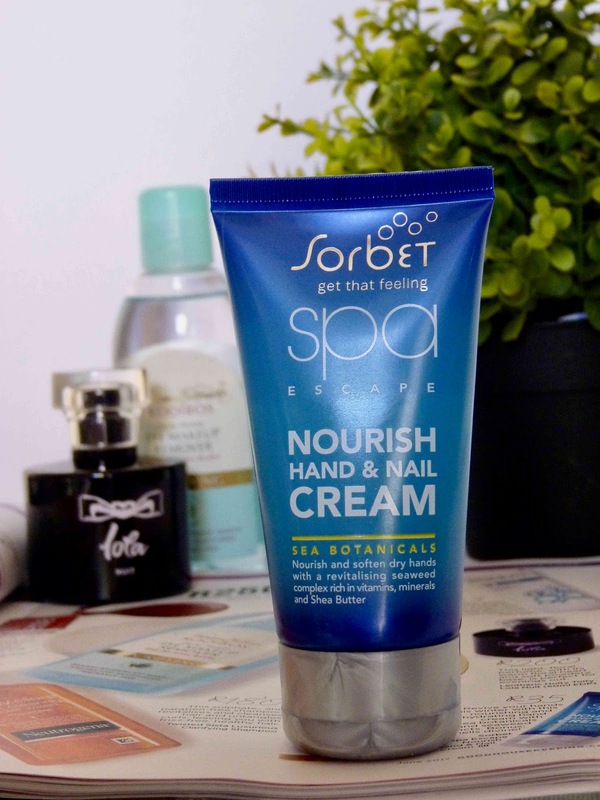 Winter can be hard on one's hands but this cream not only smells divine but it hydrates very well. At the moment I do not really struggle with pimples, although as a teenager, acne was a huge hurdle for me. It created some ugly scaring and I am hoping that this might help a tiny but with the scaring, but I am also hoping that when "that time of the month" comes along and some of those pesky spots show up, I can zap them with this and put it fully to the test. The few times that I have used it, I quite enjoyed using it. It feels like a gel formula and does not foam up which means it will not dry out and strip my face. A makeup remover is the first step in my evening skin care routine. Sometimes I use a micellar water and other days when I have used a bit more makeup with waterproof products, I tend to use a dual-phase remover. 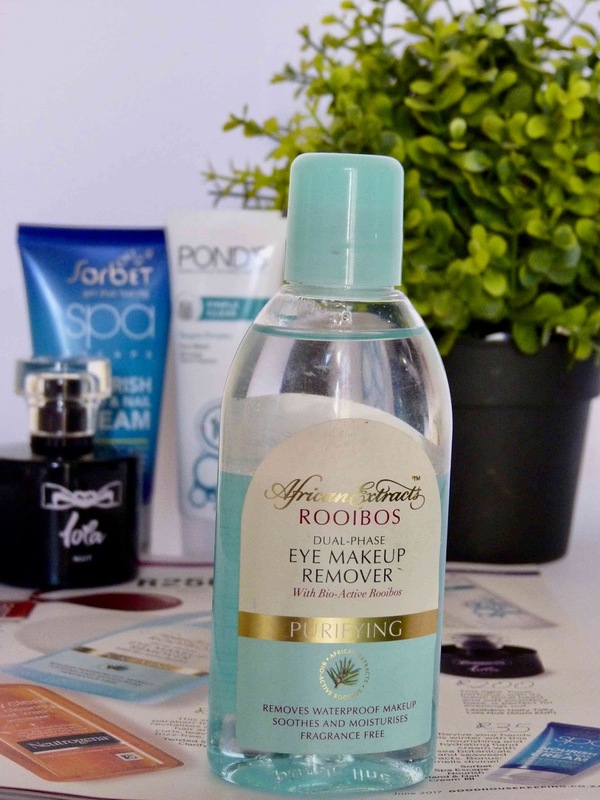 This particular remover is soft on the skin and does a great job at removing makeup. It does not leave that weird oily film a dual phase cleanser can leave, but rather leave it feeling clean and fresh. The stopper also allows just the right amount of product to not waste any but get the right amount. This is a dark perfume and to me it feels heavy and definitely something to wear in the winter or on a night out. Nowhere could I look up the notes but I want to describe that it has a touch of liquorice and some floral notes that end in some woody base notes. This is not my favorite scent, but the little sister, Lola Jour is great. I feel this will be great for a person with a deeper skin tone. I am of the opinion that people like me that are on the paler side can not wear deep, dark perfumes. We have to stick to light (in color) and light (not a heavy musky scent) perfumes. In saying that I do not think it's a bad perfume, it took me a long while to be honest enough with myself to say I like the pink one more, as I so badly wanted to like this one. I enjoyed the first spray, but as it settled on my skin, it turned quite heavy and started to smell like "katepis" on me, which is such a shame. 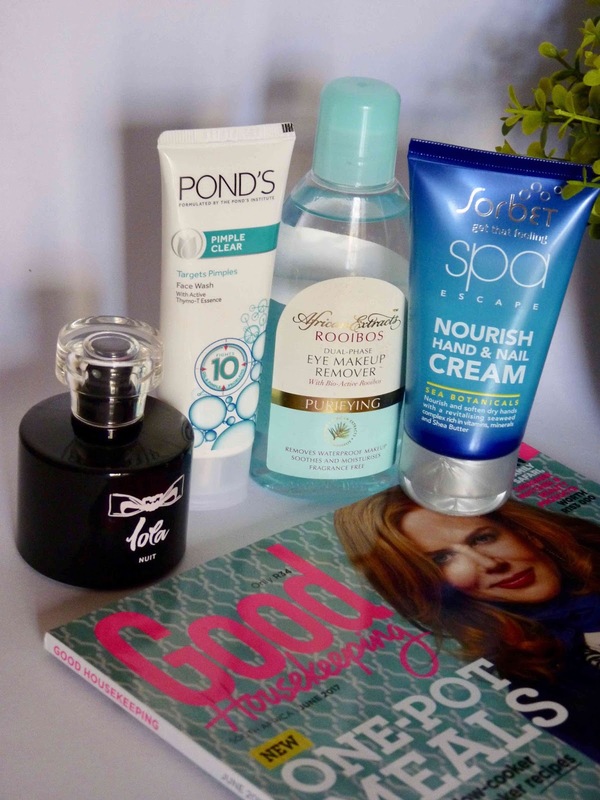 Once again the team at Good Housekeeping picked some awesome products and I am convinced that there is a favorite in the making. Let me know if there is a product that you absolutely love or if one of these has not worked for you in the past.